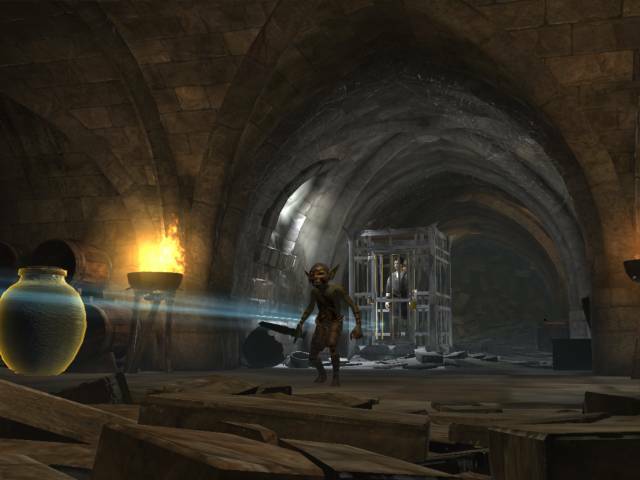 To start the Rescuing the Townsfolk Quest, start the quest, and follow the Blue Wisp, you'll find the first townsfolk in a cage guarded by a Golblin, just tap and release the screen where the Goblin is to attack. Don't forget to collect the gold he drops. Look out also for the gold vase to collect an item. You'll also find more gold in a vase and Lumber after you have rescued the villager from the cage. 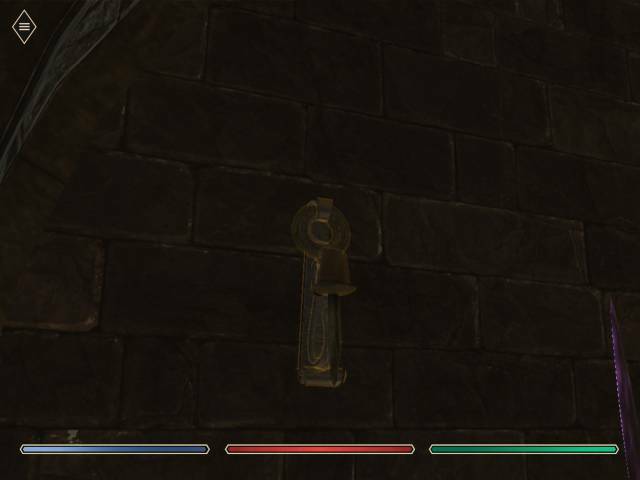 Click around and you may find other items such as Limestone. If you have been damaged by the Goblin, look out for a big round of cheese also in that room, tap that to restore some of your lost health. Go through to the next room and you'll find your first chest. To open your check tap the side menu again and go to chests, chests open over time, but for this first one, the game will give you the necessary amount of gems to open the chest right away. If you have got new items you should equip them right away in the character menu. 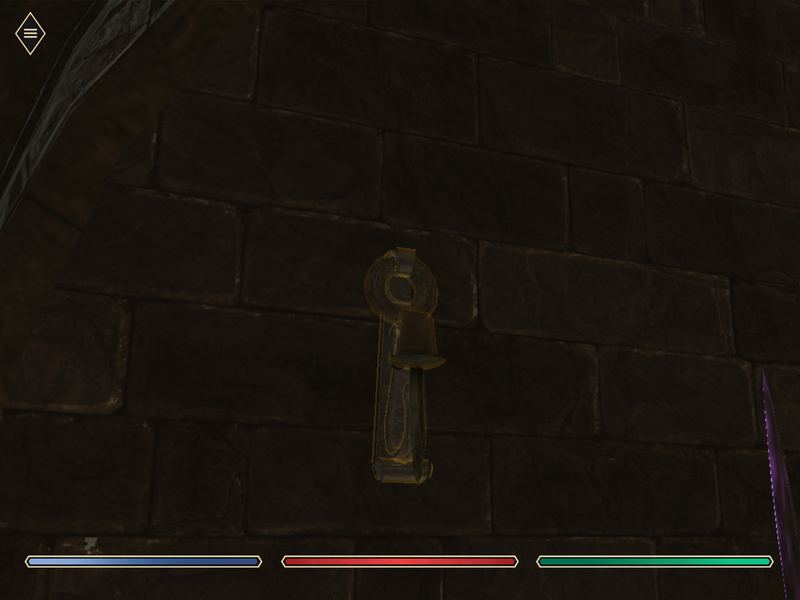 Keep following the wisp and you'll find a gated off area, look for the handle which opens the door and kill the beasts that come out, they are tricky to hit, but only usually require one hit to be killed, think about using use shield to defend here. 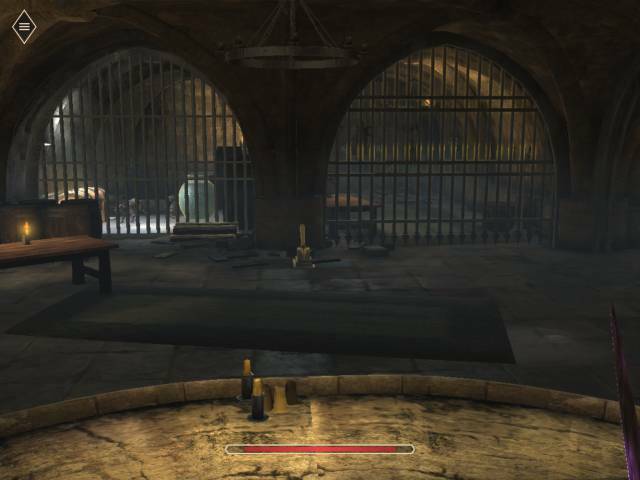 Now go in the caged area and look around for a lever on the wall, that opens up the secret area with a free chest in it. After you have done that, follow the wisp again until you reach the caged Townsfolk, defeat the goblins that are there and talk to the townsfolk to complete this quest.